Uses For the relief of pressure and bloating commonly referred to as gas. 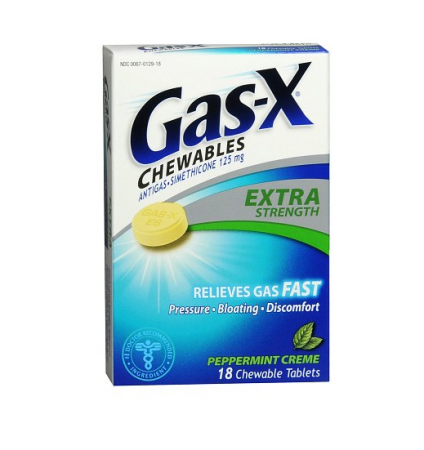 Gas-X Extra Strength tablets offer fast effective relief of pressure and bloating that antacids can't provide. They are specially formulated with simethicone, the antigas medicine doctors recommend most for pressure, bloating or discomfort referred to as gas. 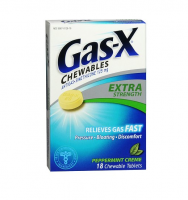 Gas-X Extra Strength Peppermint Creme chewable tablets have a pleasantly smooth, creamy mint flavor. 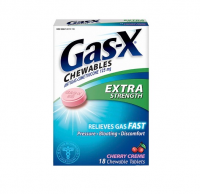 Chewable tablets are also available in a great tasting Cherry Creme flavor.